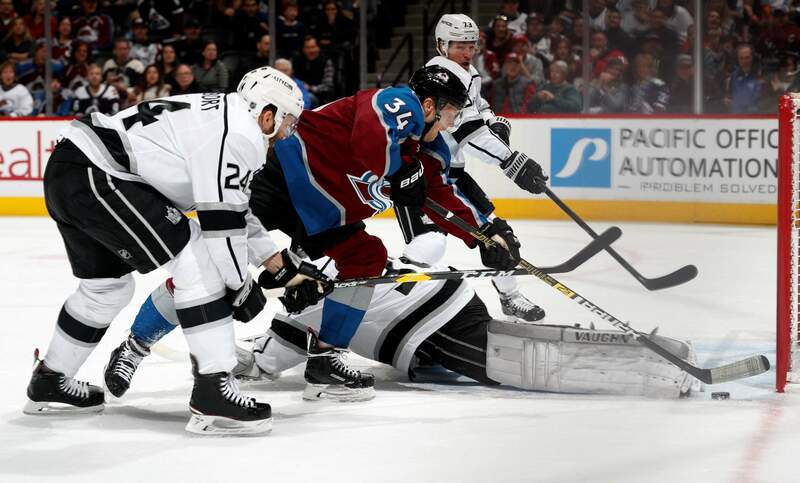 Colorado Avalanche center Carl Soderberg, second from front, tries to score a goal as, from front to back, Los Angeles Kings defenseman Derek Forbort, goaltender Jack Campbell and right wing Tyler Toffoli defend in the third period of Saturday’s game in Denver. Colorado won 7-1. 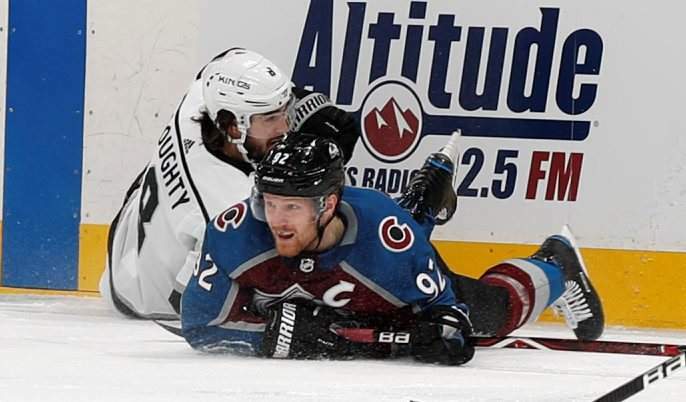 Colorado Avalanche left wing Gabriel Landeskog, right, gets tangled up with Los Angeles Kings defenseman Drew Doughty in the first period of Saturday’s game in Denver. 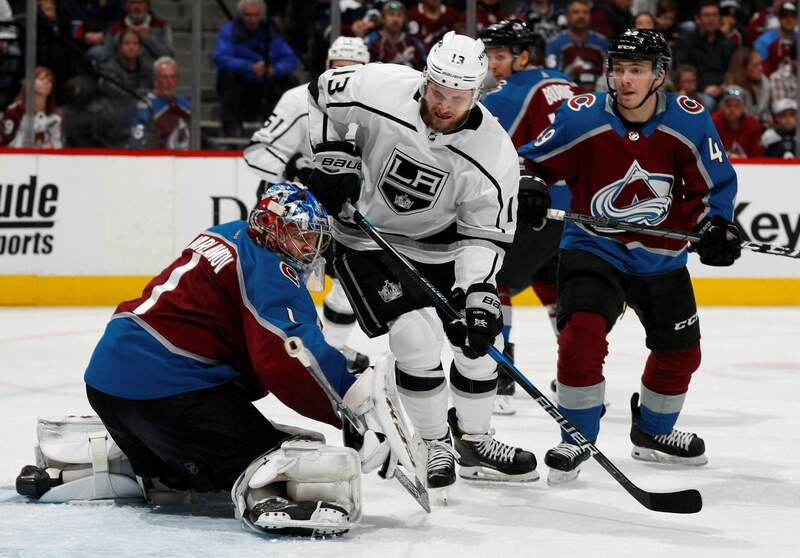 Colorado Avalanche goaltender Semyon Varlamov, left, deflects a shot off the stick of Los Angeles Kings left wing Kyle Clifford, center, as Colorado defenseman Samuel Girard covers in the second period of Saturday’s game in Denver. 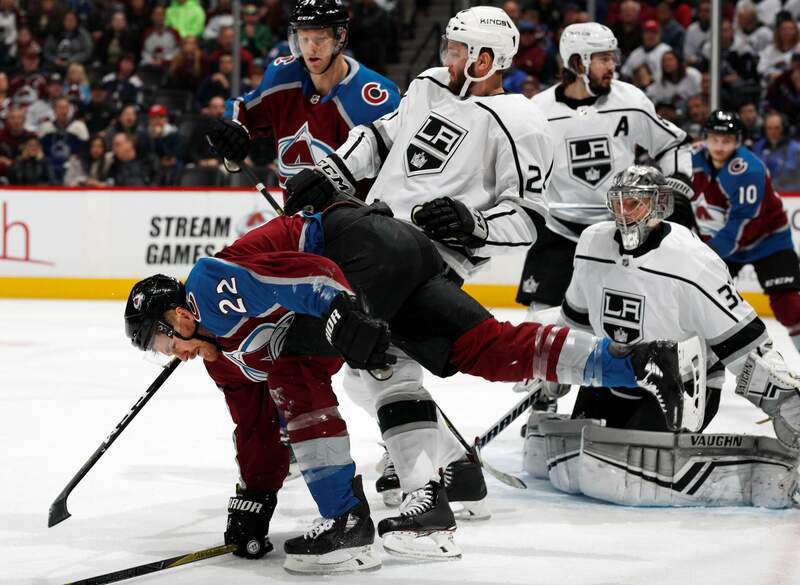 Colorado Avalanche center Colin Wilson, front, gets tangled up with Los Angeles Kings defenseman Derek Forbort, center, as goalie Jonathan Quick looks on in the first period of Saturday’s game Saturday in Denver. DENVER – The success on the ice quickly returned and so will Mikko Rantanen. Another score – along with a big exhale – for the struggling Colorado Avalanche. UP NEXTKings: Host St. Louis on Monday.